Sam and Mary Ellen Conroy came to the Wedgwood neighborhood of Seattle in about 1915. They lived a rural lifestyle of using draft horses for construction and road work, and they helped nurture the Chapel of St. Ignatius which met in a log cabin. Samuel and Mary Ellen Conroy left Gladstone, Michigan in 1905 to settle in Seattle where other relatives had preceded them. Mr. Conroy had just turned forty and he was ready to start a new life in Seattle. At first the Conroys lived in the Roosevelt neighborhood and Samuel worked with his brother George as an excavation contractor for construction projects. The first notation of the Conroys living in Wedgwood is in the Seattle City Directory of 1915, where their address was given as “East 87th one house west of 35th Ave NE.” Property records give 1919 as the build date of the Conroy’s house at 3239 NE 87th Street. This date could be wrong, or the earlier (1915) city directory listing may mean that the Conroys lived in a nearby temporary house before building at 3239. 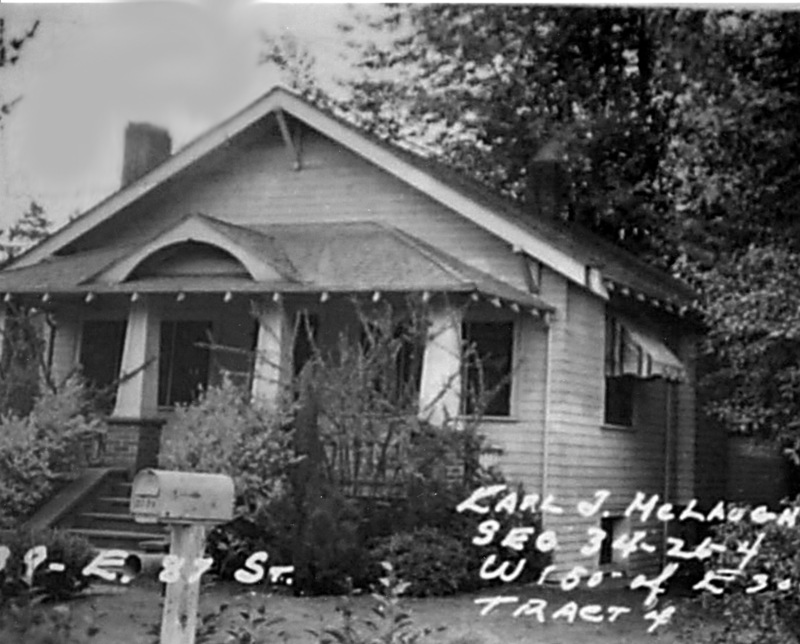 Samuel and Mary Ellen Conroy lived at 3239 NE 87th Street for the rest of their lives and they were active participants in the life of the Wedgwood neighborhood. Fresno Scraper image courtesy of San Joaquin County Historical Society. On the census of 1920 Sam Conroy listed himself as a teamster, which meant anyone who drove horses in their line of work. Mr. Conroy was also described as a landscape gardener because he would plow gardens or do the landscaping around a new house. He used a horse-drawn scoop shovel called a Fresno Scraper to dig basements or grade roads and driveways. 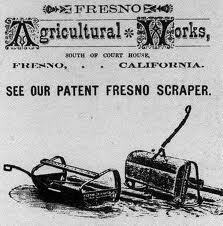 The fresno was invented in 1883 and was the forerunner of earthmoving equipment such as tractors and bulldozers. Mechanized construction equipment was not yet commonly used in the 1920s. The Picardo Farm was the only large farming operation in Wedgwood in the 1920s but it was common for Wedgwood residents to have large “kitchen gardens” where they grew vegetables for their own consumption. Mr. Conroy was often employed by people in the neighborhood to plow up soil in the spring, pull stumps to clear land for gardens, or for excavating for house-building. In winter Mr. Conroy would get the horses sharp-shod and pull neighborhood children in a sled. 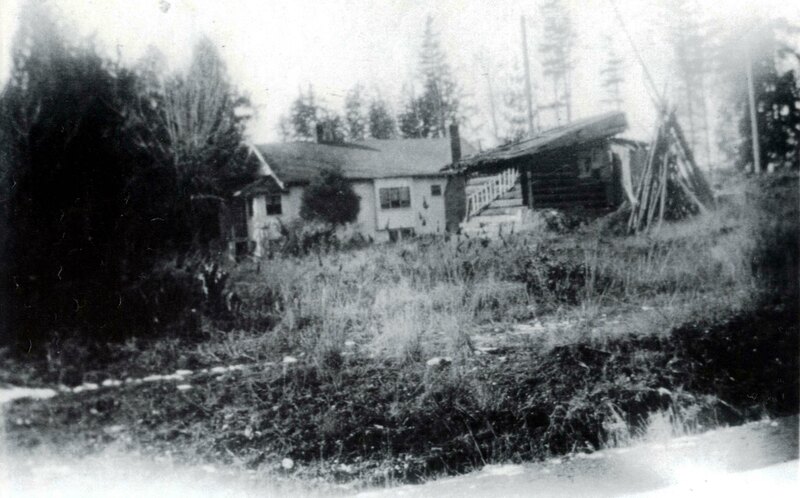 In the 1920s 35th Ave NE was higher at NE 87th Street than the Conroy’s house. Water sometimes drained over onto the west side of the house and a little pond formed there, which in freezing weather was a favorite ice-skating pond for the neighborhood. The Conroy’s horse barn was on NE 86th Street just west of 35th Ave NE, near the present site of the Morningside electrical substation (fenced area.) In the background can be seen the Jasper Apartment building of 2012. The hair salon building in this photo was demolished in 2013. To one side of the Conroy’s horse barn was a shed where all the equipment was stored: harness and other tack; digging equipment, plows, logging chains and grappling hooks. In addition to using the horse team for land clearing, digging and plowing, Mr. Conroy would sometimes grade roads with a Fresno Scraper and would use a horse-drawn sickle mower to cut grass or to provide hay for his horses. Mr. Thorpe’s log cabin became the Chapel of St. Ignatius in November 1929. The small room on the side was added for use of the priest to rest and change clothes after travelling out from Seattle University. Photo from the Goodwin family album; used with permission. Mr. Conroy had been born in the USA of Irish immigrant parents, and the Conroys had a strong Irish Catholic heritage. The Conroys were among the first congregants at the St. Ignatius chapel established in 1929 at the log cabin at NE 81st Street, former home of Mr. Thorpe. Mrs. Conroy was a member of the Altar Society, the women who helped take care of the chapel, organized socials and provided meals for the visiting priest who came out from Seattle University to hold Mass. Mr. Conroy used his horse team to clear and improve the chapel site. Once, while pulling stumps near the chapel, one of Mr. Conroy’s horses stepped into a forgotten well and sank into the soil up to its neck. With the help of ropes hitched to the other horse, Mr. Conroy was able to pull the animal out, and it was not injured. There were many such soft-earth sites in the neighborhood where wells had been dug and underground streams flowed. The house at 3203 NE 86th Street collapsed into its own basement for this reason. The owners, a German immigrant family named Kamla, hired Mr. Conroy to dig a new foundation and then they rebuilt the house themselves – Frank Kamla was a bricklayer. A 1934 photo shows the east side of the Conroy house with Mike Shea’s shack next to it. The photographer is standing in 35th Ave NE at NE 87th Street. Conroy’s next-door neighbor in the 1930s was a colorful character named Mike Shea. Ruddy-faced, dressed in layers of tattered clothing and speaking in a soft Irish brogue, he built a little shack at the corner of NE 87th Street and 35th Ave NE, at about the present site of the Wedgwood Laundromat. No one seemed to know why Mike had chosen that spot or how he managed to live. Mike Shea came and went mysteriously. Some thought he was a former railroad man, while others speculated that he owned property elsewhere or that he was a fur trapper. He was peculiar but gentle and entertained the neighborhood children with Irish songs. Perhaps he was just another one of the many derelict, broken men who roamed about during the 1930s years of the Great Depression. Seemingly oblivious to changing times, Samuel Conroy continued to work his horse team up until the early 1940s. When he finally retired, he died only a short time afterward, as though his life’s blood ran out when not hitched to the horses he loved. The Jesuits of Seattle University bought Mr. Thorpe’s forty-acre property, including the cabin, in 1929, intending to move Seattle University to the site. By 1940 they had changed their plans and decided to sell the property. The land was sold to Albert Balch, who developed it into his original Wedgwood housing tract from NE 80th to 85th Streets, 30th to 35th Avenues NE. The church group which had been meeting at Mr. Thorpe’s cabin, had to find a new site. The church became a Dominican parish at its present location at 8900 35th Ave NE, Our Lady of the Lake Catholic Church. Mary Ellen Conroy died while still in service to the church she loved so much. In January 1952, while walking along 35th Ave NE from church toward her home, Mrs. Conroy was hit by a truck and killed. Interviews with the Conroy’s grandsons John Conroy and Sam Bailey; interviews with others who knew the family; photos of Mr. Thorpe’s cabin and Mike Shea’s cabin from the Goodwin family album. Census, newspaper, city directory and property records. Fresno Scraper info from San Joaquin County Historical Society and Museum. This entry was posted in 3239 NE 87th Street, churches, Houses, Immigrant heritage and tagged fresno scraper, horses in Wedgwood, Wedgwood in the 1920s. Bookmark the permalink.